With a few lines of code, you can fully integrate the entire buying process directly into your own website. Guests can go to your site, learn more about your events, select their tickets, pay for them, and download their tickets without ever leaving your website. This is the ultimate solution for a streamlined buying process for your guests that is simple and branded. Just copy and paste a few lines of code into your website and you are all set. No programming skills needed and our widgets work on every type of website platform. Our widgets support a shopping cart feature which will allow you to post several widgets throughout your site yet allow them to all function as one single buying platform. The ticket widgets fully support source ID tracking so you can even place widgets on various pages on your site or even totally different affiliate sites. In your marketing stats, you will be able to see exactly how many sales were generated through each widget. 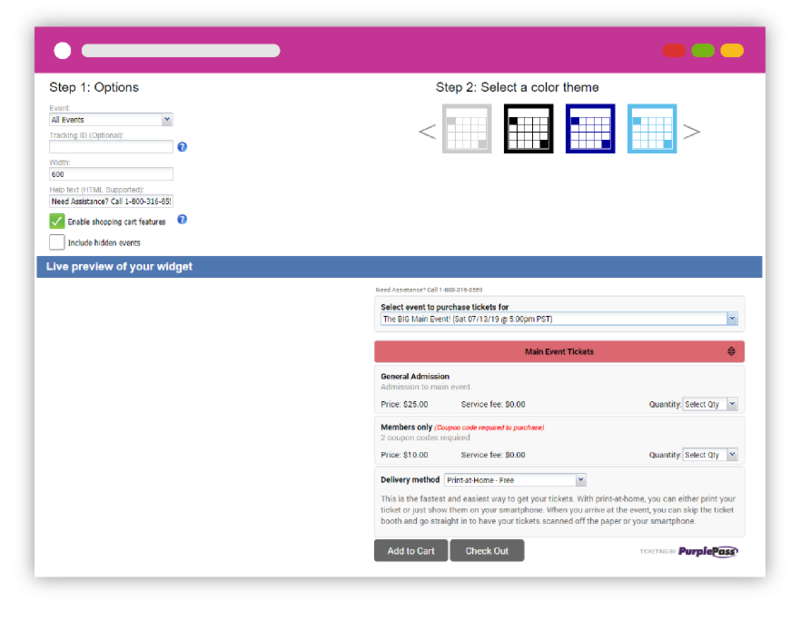 To customize the look and feel of your widget, we offer 14 different color themes to allow you to allow your ticketing to blend in seamlessly into your existing site. Create a widget that allows your guests to select the tickets for a single event and add directly to the cart. If you have multiple events for sale, you can add a drop-down box to allow your guests to choose the event they want to purchase. A status icon next to each event indicates whether the event is on sale, sold out, or not yet on sale. This becomes particularly valuable if you have many show times for an event and some are sold out. Rather than going event by event trying to see which have tickets remaining, your customers can instantly know which have availability. 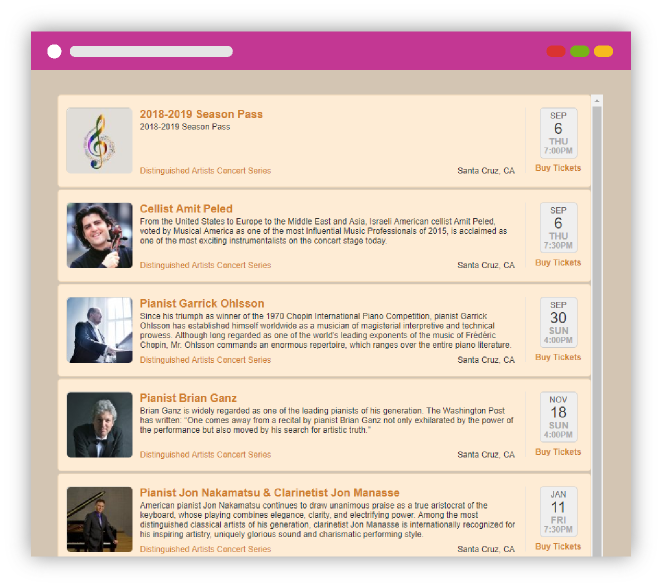 List all of your upcoming events in a beautiful listed format with icons, descriptions, and links to buy ticket. Add an interactive full-sized calendar to your site. This is the perfect solution if you have a large number of events on sale. 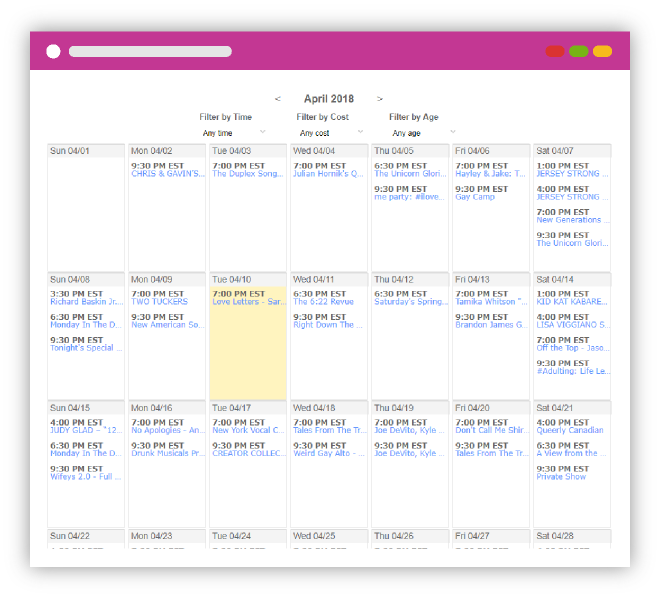 Your guests can easily browse your calendar, filter by price, age, date, preview the details of the event, then all it takes is a simple click to buy tickets. 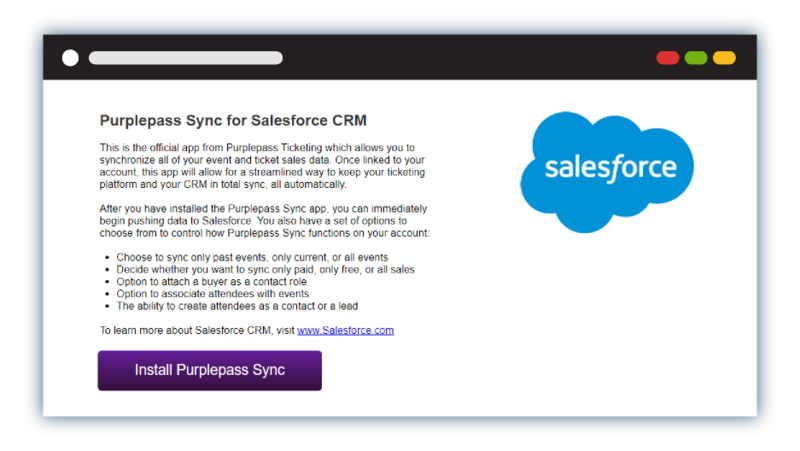 Link up your Salesforce account to Purplepass so all sales data is synced in real-time to your CRM. Advanced filters and controls allow you to control what sort of data is synchronized. The holy grail of social media integration. Your guests can be given the option to have their tickets linked to their Facebook account. 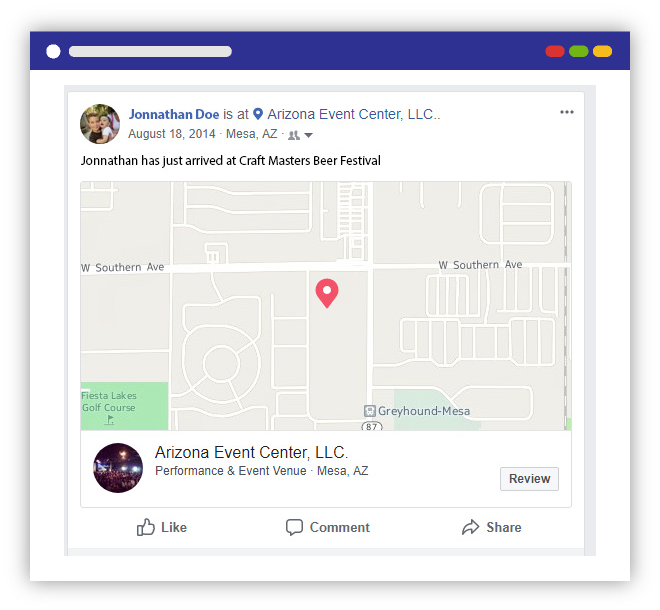 When they arrive at your event and their tickets are scanned in, they will be automatically checked in at your event on Facebook. On the day of your event, Facebook will be lighting up with check-ins at your event! The ultimate free social marketing! You can give your guests the option to share with their friends and family that they purchased tickets to your event. Their Facebook post will have information about the event along with a link to buy tickets themselves. 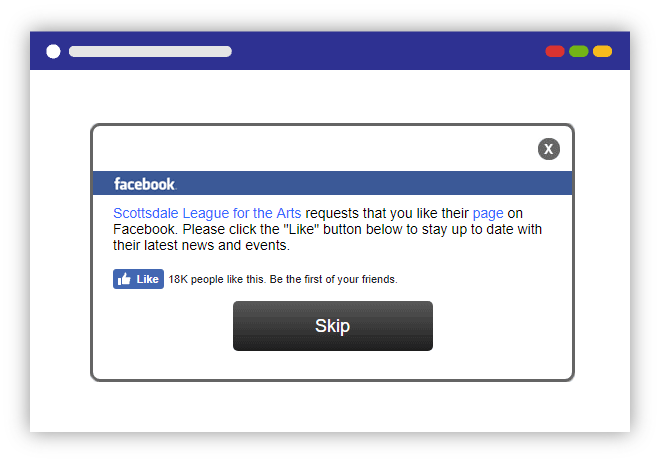 You can request or even require your guests to “Like” your Facebook page when they are purchasing tickets. They will be presented with an alert asking them to “Like” your page during their check out process. This is an amazing way to build your social media following quickly and automatically. MailChimp integrations allow you to automatically sync the contact information of your ticket purchasers directly to your MailChimp account. With a free, introductory plan, you get up to 12,000 free emails per month, 2,000 total subscribers and a variety of template options. 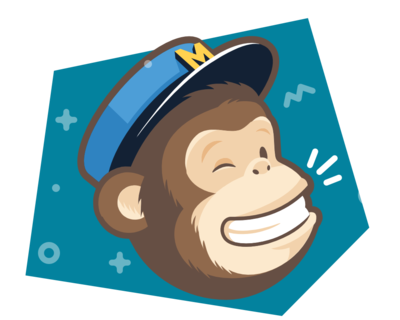 MailChimp makes it easy to quickly send out newsletters, announcements, invitations, etc, to all your customers. 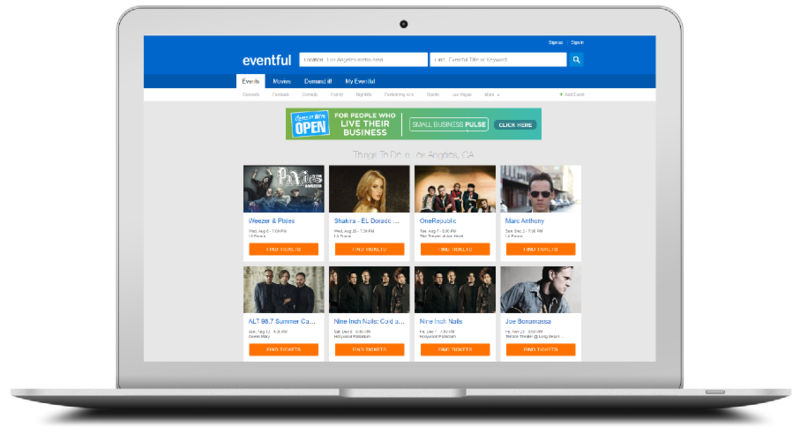 With over 21 million people relying on this platform, Eventful is the leading global service allowing people to discover local upcoming events, concerts, festivals and more! 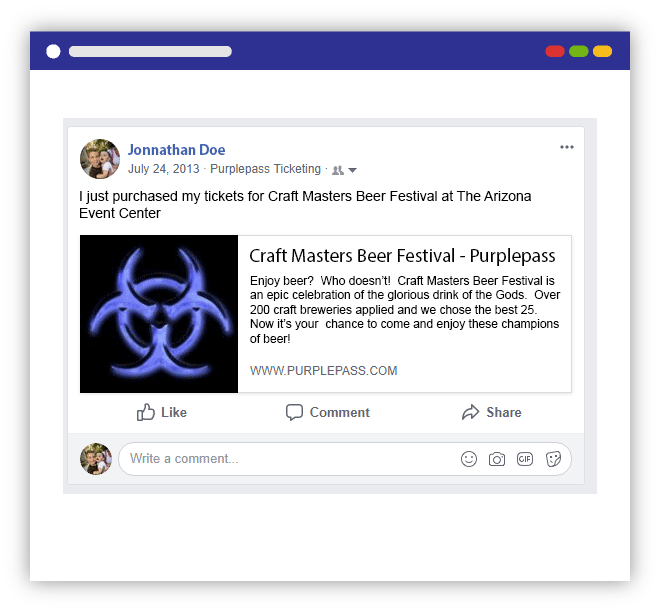 Events posted on Purplepass will be automatically syndicated and published all across the internet through Eventful to event listing sites, local newspapers, etc. Spreading the word about your events just got even easier with this new integration! 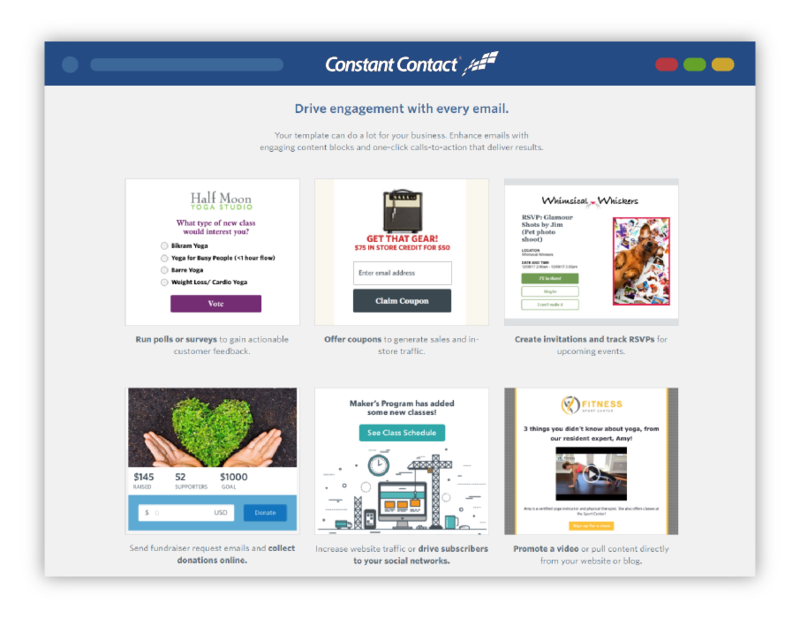 With Constant Contact, you can create the most effective email marketing campaigns to promote your events. By enabling Constant Contact integration, Purplepass will sync and add all of your customer’s contact information to your account. You can also include your Guest List information! You can start a free trial for your first 60 days which includes live expert help and online resources to get you started. 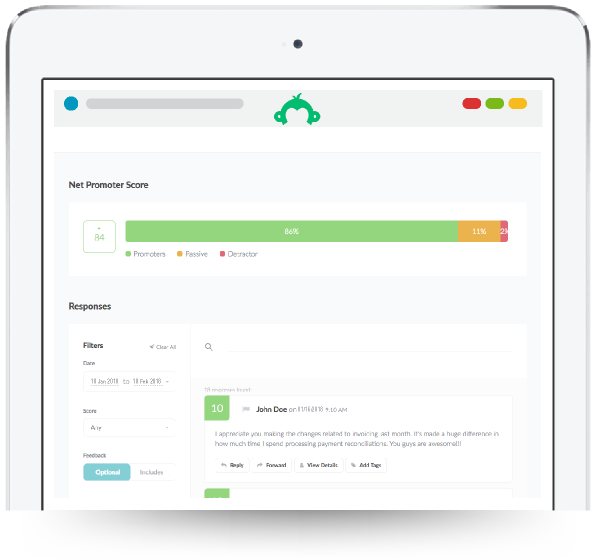 Find more ways to sample your audience’s needs with Survey Monkey! Design surveys, reach more people and maximize your data’s potential. 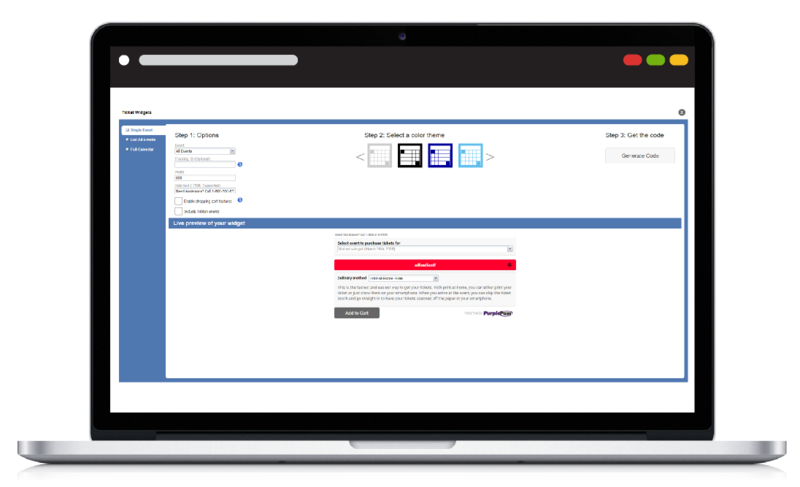 All ticket buyers contact information through Purplepass is automatically synced to your Survey Monkey account to make sending out surveys to customers easier. This is an excellent tool for asking post-event questions, gain actionable insights, and getting to know your audience to allow you to drive business forward for your next event. WordPress is the most popular and user-friendly place to create websites for upcoming events, blogs and more. 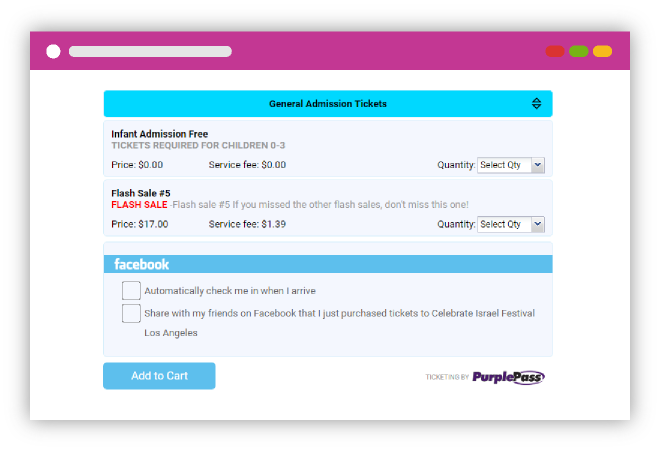 Now you can build a website for your event and make accessing tickets even faster with our new ticket widget. 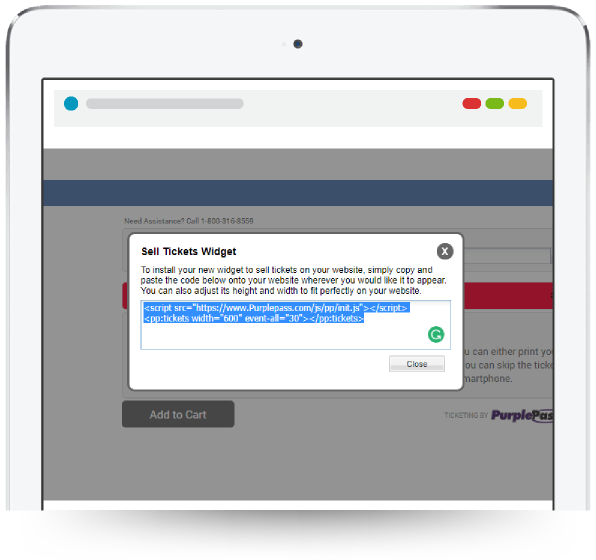 Our Purplepass plugin allows you to install our ticket widget directly onto your WordPress site in a few easy steps; click the Purplepass button, choose your widget and options, and it will be automatically installed for you. Accessing tickets has just gotten easier for you and your customers!